Carmen has led an extensive career with TD that has spanned over 25 years, specializing in advising high-net-worth clients and their families. As a Wealth Advisor with TD Wealth, she takes a holistic approach to meeting her clients' personal and business financial needs through a wide range of wealth management, banking and credit solutions. She provides high touch, highly personalized service to a select group of clients with tailored financial counsel and services. Carmen works with the client to discover and achieve what truly matters to them and then draws on the expertise of the Private Client Group specialists to create and implement an integrated wealth management solution. This can include estate, trust and tax services, business succession planning, investment strategies and investment management. She is dedicated to her clients, takes a personal interest in their families, and takes the time to understand their unique vision and goals with genuine care and compassion. 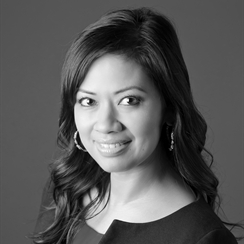 Carmen is a Certified International Wealth Manager (CIWM), has her Professional Financial Planning (PFP) designation, and a Bachelor of Arts in Economics. She is involved in the community and currently a member of the Sports Celebrities Festival committee to benefit Special Olympics BC and Canucks for Kids fund as well as the Homes for the Holidays committee for Kids Help Phone. During her spare time, she likes to read, travel, and stay active enjoying the beautiful city of Vancouver but you will most likely find her on the soccer pitch cheering on her daughters, ages 13 and 15, play. Tiffany works with high net worth individuals, executives, professionals, business owners and their families who are looking for personalized attention for their banking & wealth needs. She takes a holistic approach to understanding her clients' goals, and with the support of TD Wealth specialists, she provides customized wealth management solutions. This could include estate planning, credit solutions, investment management, business succession planning, and charitable giving. Her priority is to support her clients in achieving their ideal lifestyle, career and legacy by offering convenience, and flexibility. Tiffany joined TD Canada Trust in 2005. She holds a Bachelor of Arts Degree with a major in Economics from the University of British Columbia, Personal Financial Planner (PFP) designation and the Certificate in Retirement Strategy (CRS). When she's not at work, Tiffany enjoys traveling the world and entertaining friends at the family cabin.